The best $8 you'll ever spend... Seriously! The Olympic Games. 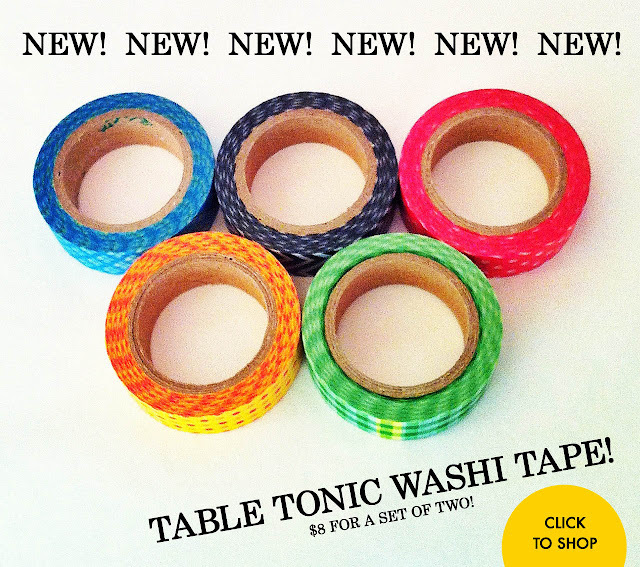 Table Tonic Washi Tape. It's a match made in heaven! Washi tape hails from Japan and is a fancy schmacy craft "sticky tape", only it's made from rice paper (yes you can write on it!). It's also low tack, so it's easy peasy to reposition - great for kid's craft. Consider kid's birthday presents officially SORTED (little people go nuts for the stuff)! Each roll contains 15 metres (almost 50 feet) of tape. PS Be warned - there are 26 different designs to choose from! Click to shop!